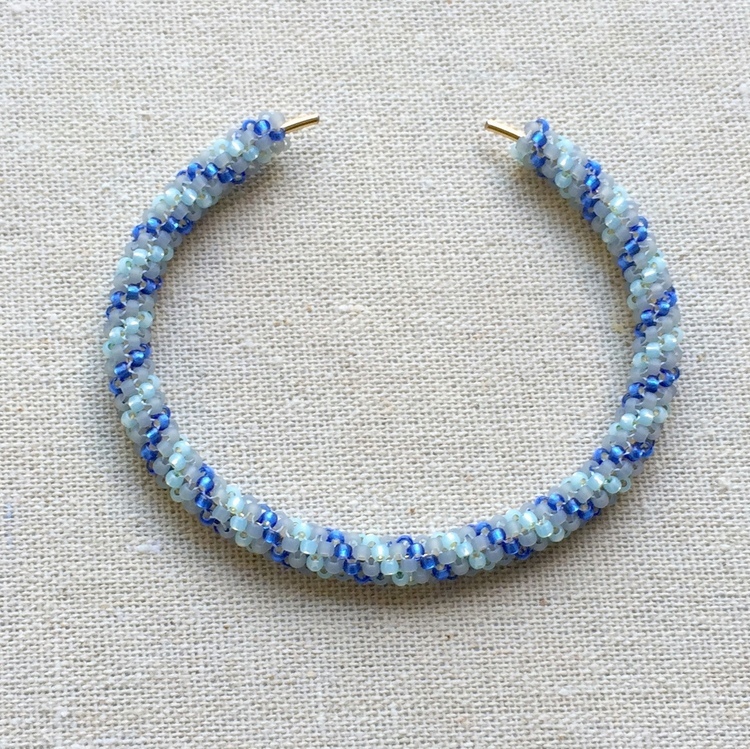 I recently updated a tutorial for odd count tubular peyote stitch. 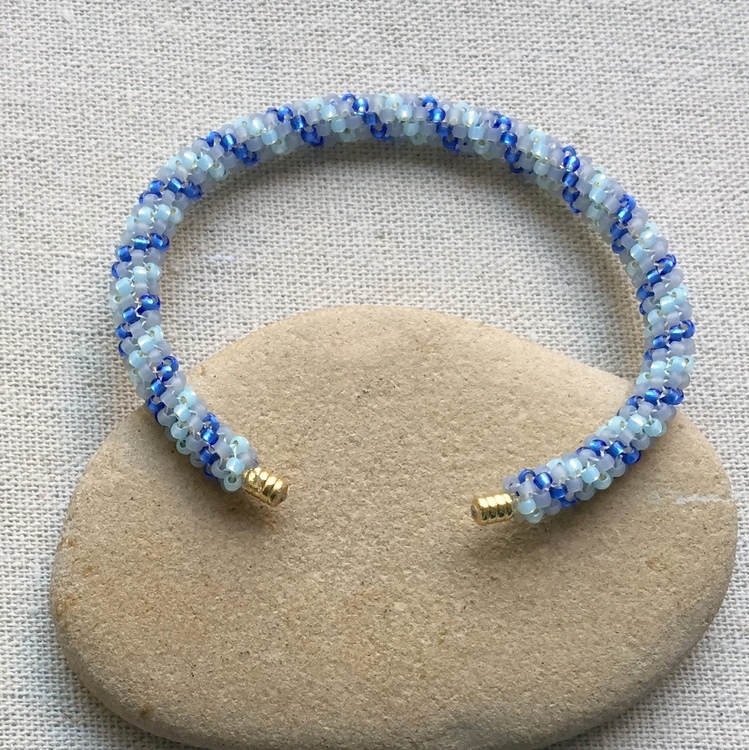 I love the ease that the stitch makes spirals - and it looks great as a bracelet, but I'm getting weary of rope bracelets. I've been toying with the idea of making beaded rope cuff bracelets for a while and finally got my first ones finished. Of course, this would be far too easy if I could buy the cuff finding and didn't have to make it myself. There were alternatives though. 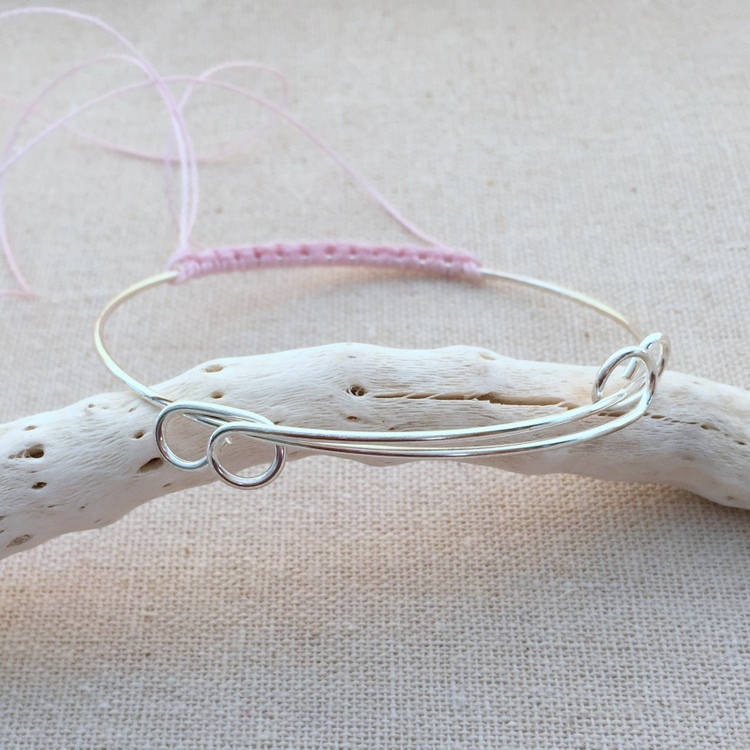 I could have used memory wire, but I think it's pretty flimsy as a single wrap cuff and then you pretty much have to add loops to finish the wire and dangles to the end. That wasn't the look I was going for. There are also some bangles that you can resize so they fit more like a cuff - like this from Nunn Design, but the issue with these is that you have to bead directly on the bangle. And it's just harder to work that way. (Ignore the pink cord - just another UFO). So - here's my super inexpensive and pretty easy solution. 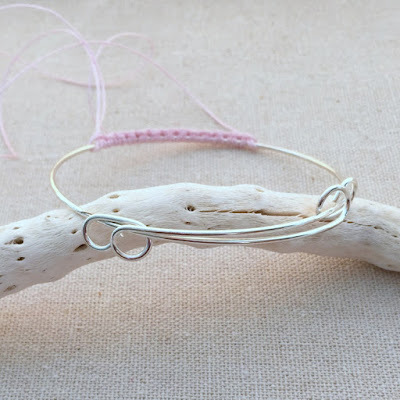 First, take store bought wire bangles. and cut them open. These are ones that I purchased a Forever 21 on sale as a group of 10 for $2. Then, cut off pieces of the bangle to decrease the size and re-shape it from round to the more oval shape of a cuff. 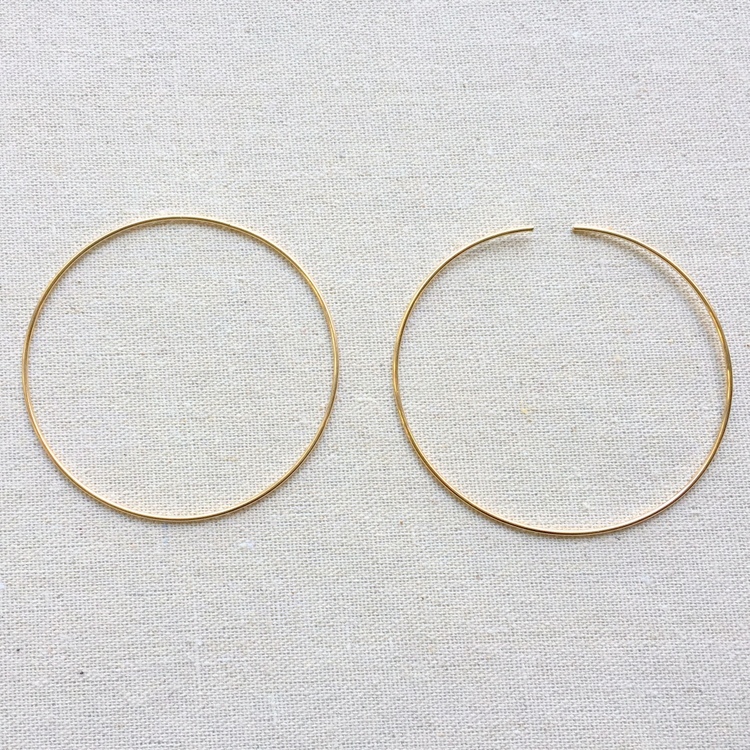 I think I cut off about an inch to start and then ended up cutting a little more when I was sizing it to my wrist and re-shaping it. 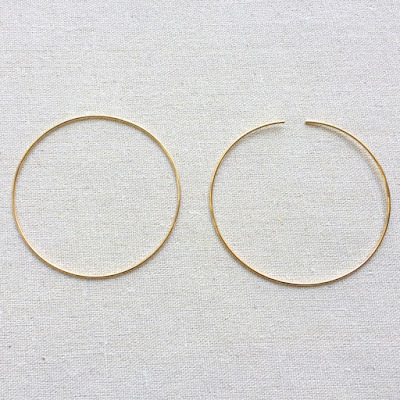 Don't use your good pliers for this - use your husband's heavy duty ones. 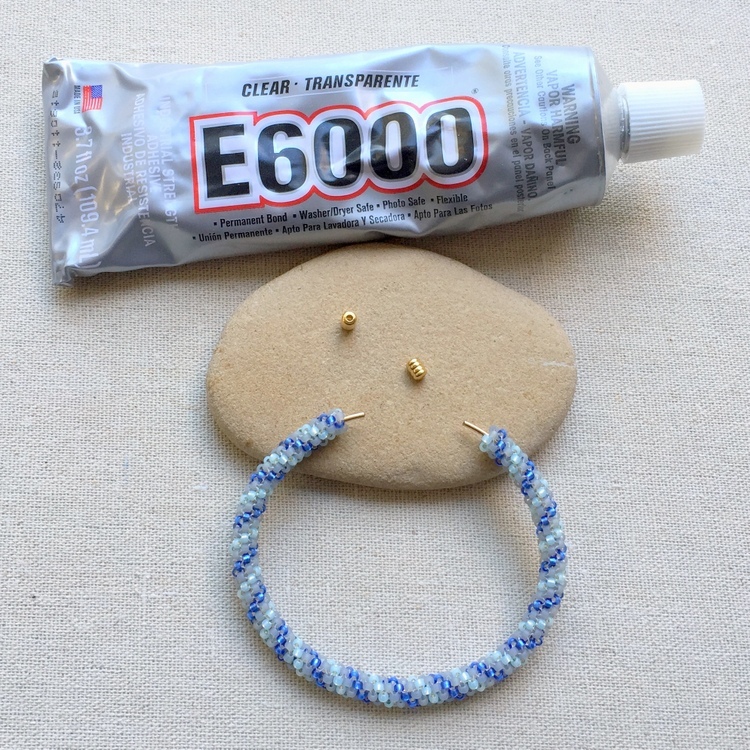 File the edges smooth with an emory board nail file. 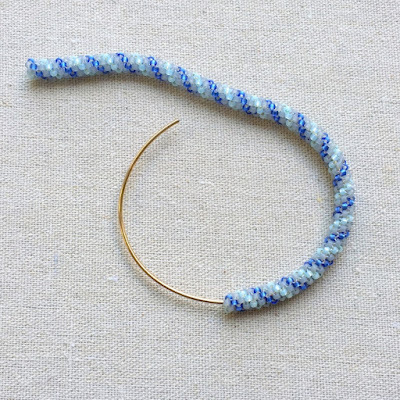 Slide the finished piece of beaded rope tube onto the wire. I already made sure the rope was the right size before I tied off the thread ends.. 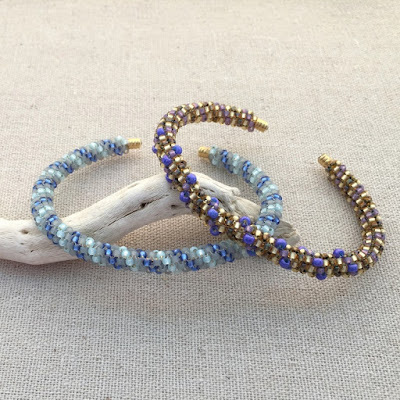 The tricky part is finding bangles where the wire is thin enough to slide a beaded tube over it, sturdy enough that it will maintain the cuff shape once it is cut apart, and that you can fit a bead on the cut end to give it a finished edge. It really wasn't very hard to find (I probably got lucky! ), but I want you to know all the things you are looking for. 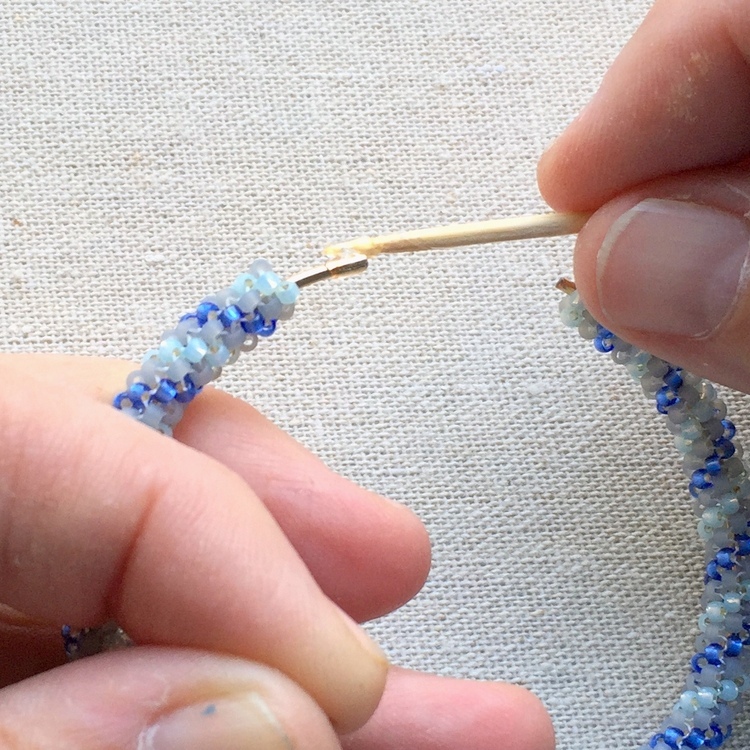 What was a little hard to find was the right beads to add on the ends. 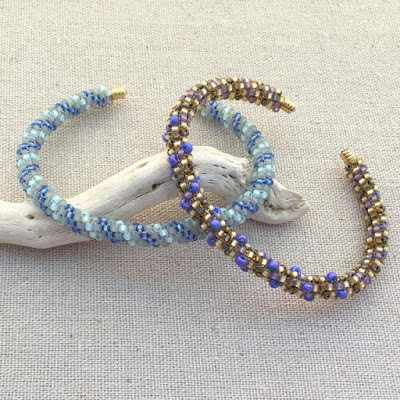 I thought I would use round glass beads when I started the project, but finding ones that would fit on the wire that looked good was near impossible. Then I moved to metal beads. I think round metal beads would have looked fine, but I found these embellished drum shaped beads in a box filled with the assorted doo-dads that I've gotten in the Boss' Bead Bag from Fire Mountain Gems. Here's a peak at the goodies that I sifted through. This is about 4-5 bags worth of small metal findings from Boss' Bead Bags. 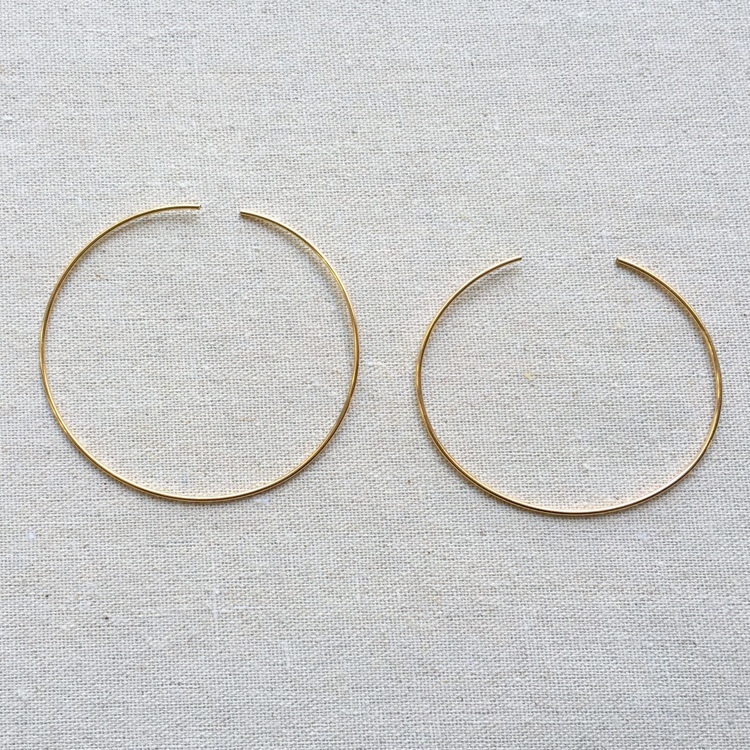 I keep them divided into small findings and medium/large. 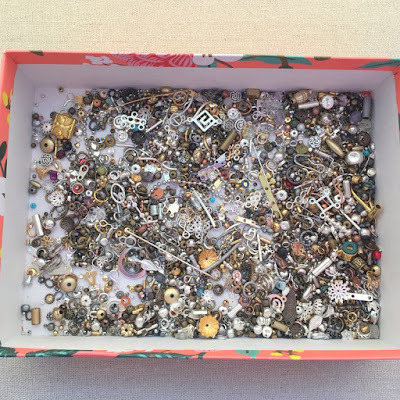 Then there's other boxes with small glass beads, medium glass beads, large beads, etc. Whenever I can get these darn assortment bags at the cheapest price - I do. And there's always something that comes in handy. A lot of times, it's findings or supplies that I didn't even know existed! And a toothpick to get it in just the right spot. And after letting things dry for a few minutes, my beaded cuff bracelet actually looks pretty professionally finished! And it is super comfortable and secure. In addition to gluing the barrel beads to the wire end, I also glued the ends of the beadwork to the wire where it joins the beads so it doesn't slide around. I let it dry overnight and then peeled off any excess dried glue. And then I did it again with the other odd count peyote tube. In case I don't write again before Thanksgiving - I hope you have a wonderful Thanksgiving day and enjoy feasting with family or friends or can at least take time to reflect on all the good things in life. Wow this looks like something I can handle. thanks for the insight and I'm going to try the tubular tutorial, I really love the look.